The LSE Latin America and Caribbean blog aims to use expert, evidence-based analysis to increase awareness and understanding of Latin America and the Caribbean, both as a region and as individual states and territories. We are particularly keen to publish contributions that approach the region on its own terms rather than interpreting it through the lens of events, processes, and interests elsewhere. Our thematic coverage is broad and multidisciplinary, encompassing all aspects of governance, economics, international affairs, politics, culture, and society. Our geographic coverage extends from Mexico and Bermuda in the north to Tierra del Fuego in the south, including all of the independent states and overseas dependencies in-between (full list), as well as their diasporas. We have no editorial “line” beyond our commitment to communicating social-science research and commentary in ways that enhance public debate and understanding. The blog is run by the LSE Latin America and Caribbean Centre (left), which serves as a hub for LAC-focused research and events, building on the School’s deep and longstanding engagement with the region. We encourage the submission of well-argued, evidence-based material that can improve public debate on any and all issues involving and affecting the region and its peoples. For further information, and for details of how to submit a blog article, please get in touch. About the editor: Dr Asa Cusack has a PhD in Latin American and Caribbean Political Economy from the University of Sheffield and contributes to various print, digital, and broadcast media. Acknowledgements: The LSE Latin America and Caribbean blog receives financial support from the HEIF5 programme run by LSE Knowledge Exchange. Comments policy: This blog welcomes feedback and comments in accordance with certain guidelines. Creative Commons: Unless otherwise specified, all of our articles are published under a Creative Commons licence (CC BY-NC-ND 2.0). This means that you are free to republish them unmodified and properly attributed, preferably with a link to the original article. Please take care with imagery, however, as items may occasionally remain under copyright. Disclaimer: The views expressed on the LSE Latin American and Caribbean blog are those of the authors alone. 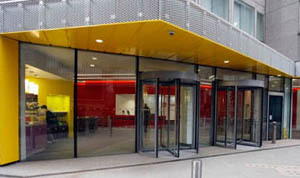 They do not reflect the position of the LSE Latin American and Caribbean Centre, nor that of the London School of Economics and Political Science. Equity, Diversity, and Inclusion: LSE is committed to building a diverse, equitable and truly inclusive university. LSE believes that diversity is critical to maintaining excellence in all of our endeavours.